We are delighted to announce that Mark Banks has become a father for the first time. Baby Freddie was born on 11th September weighing in at a healthy 6lb 4oz. Both mum, Vicki and baby are doing fine. But, like most babies, Freddie is nocturnal and Mark is still adjusting to interrupted sleep! Freddie who has visited the office on a couple of occasions is growing fast but is not yet big enough to fit into the Walsall Football Club baby-grow Mark bought for him. 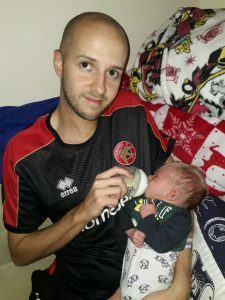 Mark is a season ticket holder at the Saddlers and can’t wait for Freddie to be able to join him when Walsall play at home. The football ground is sponsored by Banks’s so we’re sure Freddie will get a font row seat! Great news and congratulations to Mark and Vicki on the birth of their son from all the Advisers who provide financial advice in Sutton Coldfield and the entire support team. Harriet has been doing her bit for charity! 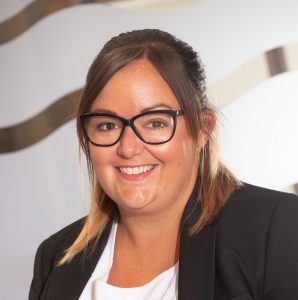 Harriet Partridge is one of our Financial Administrators in our Client Support Team, providing admin for our team of Financial Advisers local to Sutton Coldfield. Harriet has recently completed the Alzheimer’s Society Memory Walk and the Race For Life in support of Cancer Research UK. Both events took place in Sutton Park. Harriet had personal reasons for doing each of these fund-raising events, but especially the 3km Memory Walk which she, her daughter, mum and aunt did together in memory of Harriet’s grand-mother. Her grand-mother had suffered from Alzheimer’s disease for many years, and Harriet witnessed how such a strong woman who had brought up seven children on her own was affected by this illness and wanted to raise money for the research that may prevent or cure Alzheimer’s in the future. The inspiration to do the 10km Race For Life came from Harriet’s step-mum, who is a cancer survivor. Harriet, her six year old daughter, her sister and friends all took part in this women-only event – she said it was more of a walk than a run! The money raised will help to fund research into finding new ways to prevent, diagnose and treat cancer. Congratulations to Paraplanner Mark Banks on passing his final professional qualification to earn the Diploma in Financial Advice. 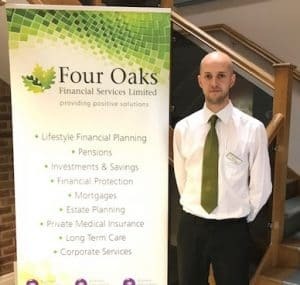 Mark joined Four Oaks Financial Services in 2013 and is a fantastic example of how hard work, determination and a career path with our firm pays off. Upon passing his 6th examination he has gone from a junior administrator five years ago to fully qualified. This means that he is now qualified to the same level as our Financial Advisers. For the time-being Mark has no plans to move from Paraplanning, but may switch to becoming an Adviser in the future. 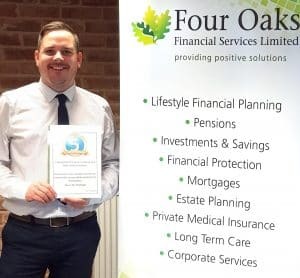 In his Paraplanning role Mark meets daily to discuss cases with our fully qualified Financial Advisers local to Sutton Coldfield and working across the region. Having recently become a father he is taking a break from exams for a while but is planning to study to become a Chartered Financial Planner in the not too distant future. Well done Mark, it is very difficult to achieve the Diploma and you’ve done it! Congratulations to Financial Adviser, Nic Whittaker on completing 5 years’ service at Four Oaks Financial Services. Nic is a well-respected member of our Financial Adviser team who provide financial advice local to Lichfield and across the wider area. He has been in financial services for 17 years and has a great deal of experience, which he is happy to share, especially with new Advisers and helping them to settle in. Congratulations Nic and we hope you enjoy your gift from the Company. 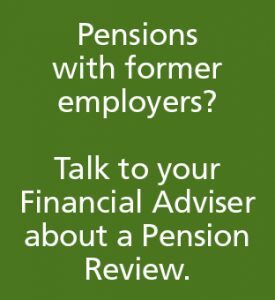 Do You Have Pensions With Former Employers? When you have changed jobs you may have left behind a pension with your old employer. If you have changed jobs several times you may have pension plans with several of your previous employers. You may not have reviewed these pensions, no matter how large or small, for a number of years. You may be assuming that your previous employer is taking care of them on your behalf. 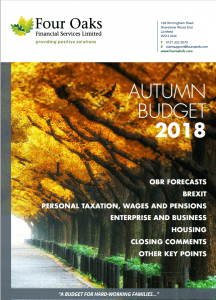 The problem is that the pension may not be invested in funds that reflect your risk profile, especially as you get closer to retirement, and they could be in old pension schemes that incur high charges, which eat into the value of your pension pot. One of our Financial Advisers, who give financial advice local to Sutton Coldfield an across the area, can take a look ‘under the bonnet’ so to speak. They can review all of your pensions no matter where they are held and find out how they are performing for you. 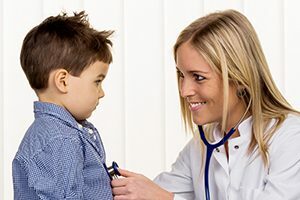 They will be able to explain what you’ve got and, depending upon your unique circumstances, advise you on whether to keep them where they are, or if there are other pension funds that you can move them to that will give you a better return. It is always wise to regularly review your pensions and other investments to ensure they are on-track to meet your goals.